About Amrex Chemical Co., Inc.
Amrex Chemical Co., Inc. is a wholesale chemical distributor headquartered in Binghamton, NY. We purchase chemicals from suppliers throughout the country as well as imported material. 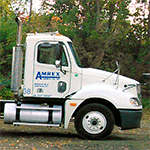 Amrex Chemical services its customers throughout New York State, Pennsylvania, and New Jersey with our own fleet of vehicles and our staff of dedicated drivers. Amrex Chemical Co. Inc. was founded in 1982 in Binghamton, NY by William F. Rexer, Jr. at its headquarters location on East Frederick Street. Over the next 30 years, the company has expanded throughout the Southern Tier of New York with multiple warehousing locations. In 2004, the company expanded into Western New York with the purchase of our Buffalo location on Exchange Street. Amrex Chemical offers a full line of industrial chemicals. A “super market of chemistry”, we also offer de-icing and rock salt products during the winter and a complete line of pool chemicals during the summer months available to both commercial and over the counter customers. Amrex Chemical is always ready to service the needs of our customers based on their specific needs. To ensure that “Chemistry Improves the Quality of Life,” Amrex Chemical has been a Board Member of the New York State Chemistry Council (formerly the New York State Chemical Alliance) since the early 1990s. In addition, Amrex Chemical became a member of the National Association of Chemical Distributors (NACD) in 2013 and has been site verified. We are also members of the National Safety Council and the National Federation of Independent Businesses. Product has also been certified by NSF International. From our Binghamton and Buffalo locations, Amrex Chemical is always ready to service our customers for timely deliveries. 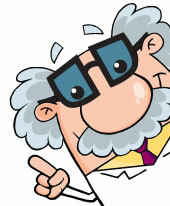 Did you know that bee stings are acidic while wasp stings are alkaline. It takes 100,000 gallons of water to manufacture one automobile. 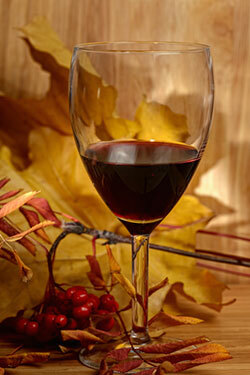 Amrex offers a wide selection of wine making supplies. See our brochure for more information. Copyright©2015 - All Rights Reserved - Amrex Chemical Company, Inc.